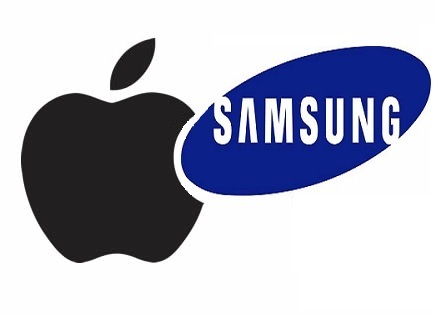 It was recently suggested that Apple wanted Samsung to pay as much as $2.5 billion in damages for allegedly copying its iOS devices: $500 million in lost profits, $25 million in royalty damages and a whopping $2 billion for the profits Samsung “unjustly received” using Apple’s intellectual property. 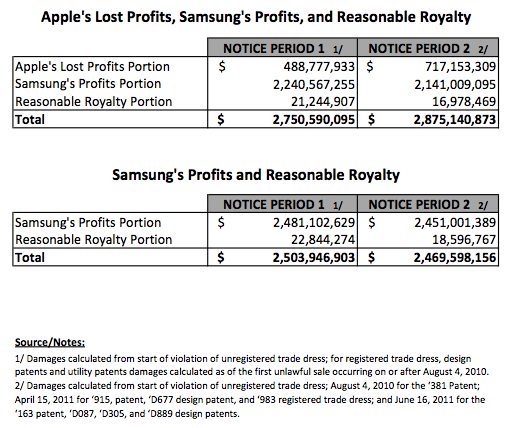 Josh Ong of The Next Web points us to Apple’s exhibit titled Summary of Apple’s Damages Calculations [PDF download], observing that it outlines four damage scenarios, “ranging from $2.47 billion to $2.88 billion, depending on whether Apple’s lost profits are counted and which patents are included”. 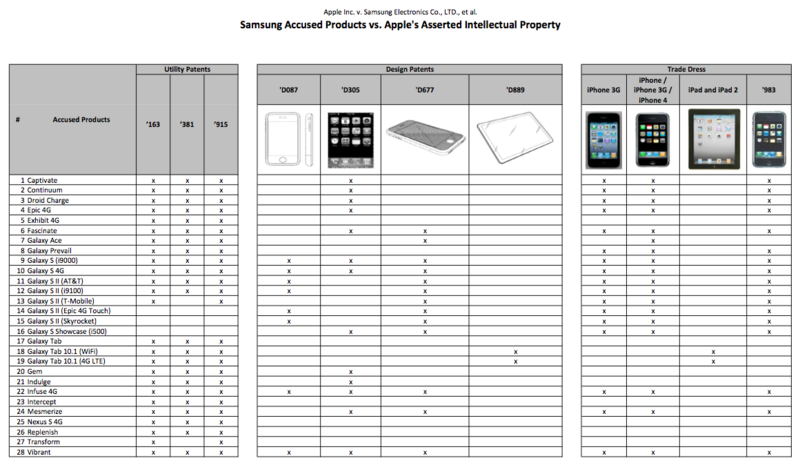 The experts calculated the above damages based on an extensive table which highlights Apple’s utility patent, design patent and trade dress claims against each of the 28 accused Samsung products. 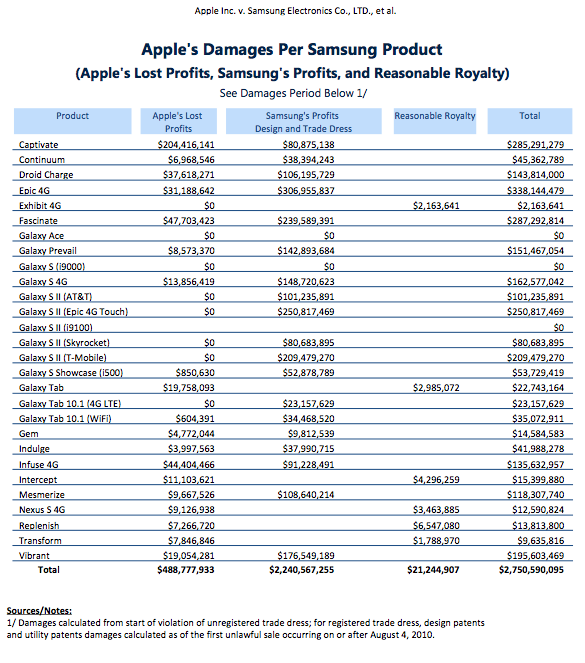 And here is the full breakdown of the damages Apple is seeking for each of the 28 accused Samsung products. 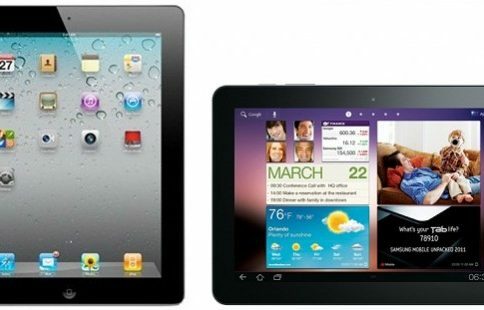 The Captivate device, also known as the Galaxy S, absolutely leads with an estimated $204 million in Apple’s lost profits. Just shy of $20 million. 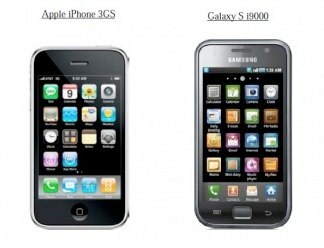 Also interesting, the Epic 4G smartphone brought Samsung the most profits based on design and trade claims, an estimated $307 million. Also worth mentioning, Apple feels it should be entitled to royalties from six devices totaling a little more than $21 million. Would you say that those calculations are fair?